Training in CPR, FIRST AID, WHMIS and More! We train everywhere in Southern Ontario and the GTA, including Brant, Niagara, Brampton, Waterloo, Halton, York, Peel, Durham, Simcoe and Dufferin Regions. Stamar EMS provides safety, CPR and First Aid training to employees, families and school children. Our classes are taught by a team of experienced professionals with years of medical or emergency response backgrounds who are both interesting trainers and can bring personal expertise and examples to the training. Stamar EMS comes to you! We will travel to train your group at a location convenient to you or host your training at our facilities. 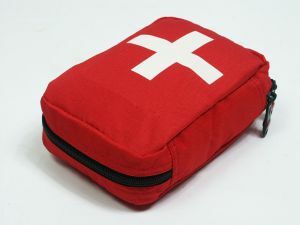 We deliver first-aid training throughout the GTA, including Toronto, Etobicoke, Missisauga, Scarborough, Ajax, Pickering and Southern Ontario. All at an affordable price. Not only do our clients learn survival skills to respond to injuries and save lives, we will custom fit training to your needs whether it is training in a corporate environment, child and infant first aid and CPR training, employee emergency response training in the office or training camp councillors. We have a course for you! We pride ourselves in delivering interesting, hands-on training that isn’t just informative but ensures each person has an opportunity to actually practice life saving skills. We do this because we know you’ll remember your skills best through active hand-on learning. You cwill respond best in an emergency because of participating physically in CPR and First Aid Training. Safety knowledge is an increasingly important facet to the well-being of ourselves, our families and those we are responsible for. In the ever-changing business environment, learning to understand and confidently respond to health and safety related emergencies results in peace of mind, improved productivity and lower liability costs. First Aid and equipment safety training is a legal requirement for most employers across Canada making it an essential component of every workplace.